Qualification : MBBS Degree from a recognized university. Experience : One year experience in a hospital after completion of internship of one year. Applicants should submit complete Bio-data along with self attested copies of the documents to prove qualification, experience etc. 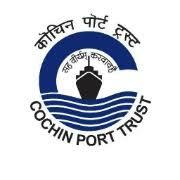 The applications should reach THE SECRETARY, COCHIN PORT TRUST, COCHIN-682 009. The last date of receipt of applications is extended upto 04.04.2018.